When you’re dealing with an emergency situation, you need sewer repairs fast. from experienced NJ plumbers, at 201-645-0888. Some sewer problems are emergency situations that simply can’t wait until the next day for quality professional NJ sewer repairs. At A1 Sewer & Drain Services, we’re available 24/7 for unexpected sewer repair services for your New Jersey sewer line or drain pipes. We serve local homeowners, businesses, and municipal sewer systems throughout north NJ, with a service area encompassing Bergen County, Passaic County, Union County, Morris County, Essex County, and Hudson County. Same-Day Service. Whether or not it’s an emergency, you shouldn’t have to wait around for sewer repairs. 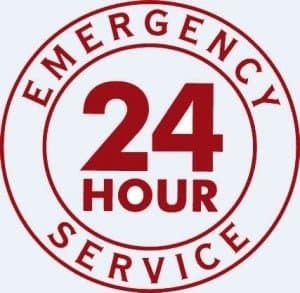 24 Hour Availability for Emergency Sewer Repairs in NJ. Avoid water damage and other serious problems from a broken sewer pipe in your NJ home by getting repairs now, not later. When you call us, you’ll never have to wait for civilized hours to get your sewer pipe fixed. 45 Minute Response Times. Busy homeowners and businesses shouldn’t have to wait all day for a plumber to arrive for sewer pipe repairs. At A1 Sewer & Drain Services, we can have an experienced sewer service contractor at your door in as little as 45 minutes. Satisfaction Guaranteed! At A1 Sewer & Drain Services, we’re so confident in the quality of our work, and the skills of our expert NJ plumbers, that we offer a 100% satisfaction guarantee for all our valued customers. 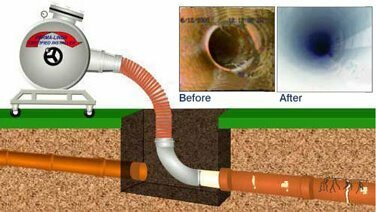 Don’t wait all day for sewer pipe repair service in NJ: call us anytime at A1 Sewer & Drain Services for fast, reliable service from skilled local nj sewer plumbers, at 201-645-0888. Some home plumbing problems aren’t urgent, but others can become a serious emergency if it doesn’t get fixed immediately. When it comes to sewer repairs in new jersey, getting a professional NJ plumbing service now could save you lot of expense later on. Sewer backflow from a clogged or broken sewer line can cause serious water damage in your home, and every minute you have to wait, the problem can get worse. 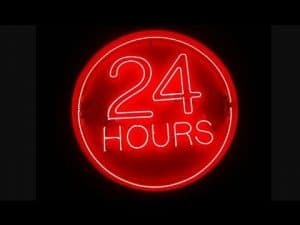 At A1 Sewer & Drain Services, we have certified NJ sewer repair contractors on call 24 hours a day, 7 days a week. When sewer pipes fail, they fail. They don’t care about civilized schedules or normal office hours, and it’s completely possible for your sewer line to suddenly collapse at 2 AM on a Sunday morning. When that happens, we’re always available to come take care of the plumbing problem in New Jersey immediately. Sewer backups. When your sewer line is broken or blocked off by roots or debris, wastewater can’t flow into the city sewer system. Instead, it goes back up your pipes and into your drains, sometimes leaking and flooding surrounding areas. Wastewater flooding is particularly nasty, since it’s full of potentially dangerous bacteria. Sewer backups need immediate sewer repairs to prevent flooding, avoid water damage, and restore working drainage in your plumbing system. Collapsed sewer pipes. Cumulative damage over time from metal pipe corrosion, tree root incursion, and other problems can push your sewer main line to a breaking point. Eventually, it can suddenly break apart and collapse, causing sewer backflow and toilets that won’t flush. You’ll need emergency sewer service, and in the vast majority of cases, the only real solution is sewer pipe replacement. In a serious emergency, don’t wait to call a NJ plumber for sewer pipe repairs. Call us anytime at A1 Sewer & Drain Services for reliable quality sewer repairs in new jersey today. Broken or collapsed sewer pipes may require sewer replacement, not just routine sewer repairs. 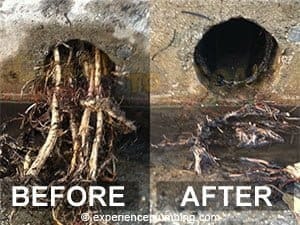 Aging, corroded metal pipes can’t always be patched up with sewer relining, and tree roots can devastate the structural integrity of a sewer main line. For serious damage, our sewer service contractors will need to replace all or part of the sewer pipe. Whether we use sewer excavation or trenchless pipe bursting, we can install a brand new, durable sewer main line that will last for decades to come. To find out more, or for emergency sewer service now, call us today at A1 Sewer & Drain Services. for 24-hour sewer repair service from experienced NJ plumbers.